The London-based Open City Docs Fest kicked off its second edition in June, exhibiting more than just a film festival, with offerings of interactive screenings and live events, performances, workshops and panels, and 132 films spread over four days-right on the heels of the higher profile showcase to the north, Sheffield Doc/Fest. Conversation, collaboration and community building, all in support of the next generation of filmmakers, proved to be the dominant themes that shaped Open City. 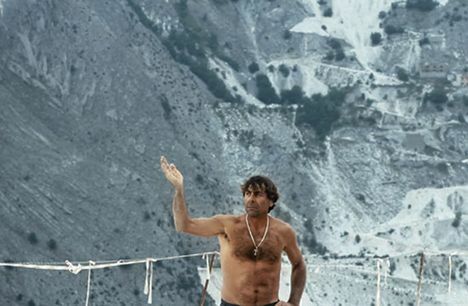 Documentary sat down with founder/director Michael Stewart, in the festival hub at University College London in Bloomsbury, to set the record straight on what distinguishes this two-year-old upstart from other festivals. "What we are is a festival in London, aimed at London and the Southeast, mostly," he explains. "But also, without any pitching, or buying or selling of films, which changes the context and the kind of atmosphere of the festival, in various subtle ways." According to Stewart, if filmmakers come to this festival, it's in order to talk to their audiences without any of the anxiety that goes along with trying to sell a film. "We place our festival deliberately in the week after Sheffield, so that people have got that behind them, and then can have other conversations as well." Changes the Image" workshop stood out. Here, industry professionals debated the increasing use of feature film sound techniques in documentaries, for example, and its consequence for the viewer. Seasoned industry guests--filmmakers Kim Loginotto, Gideon Koppel and Mike Grigsby, and composer Peter Howell--contributed valuable career reflections amidst a heated discussion on the use of the term "manipulation" in sound. "We don't want this just to be a festival about how you make films," maintains Stewart. "We want it also to be a festival about the world, about what kind of world we live in, what kind of world we want to live in." 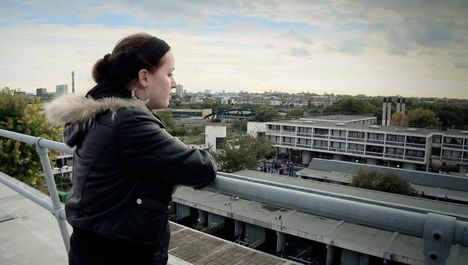 In the festival's Shorts strand, many films reflect this sentiment; the "UK Landscapes" section featured Anna Edwards' Dekay's Guide to Estates, which depicts life within a London council estate. We follow a brave, wise-beyond-her-years teen as she shares a day in the life inside the Maiden Lane Estate. Playful vignettes shaped by residents' stories, juxtaposed with music, song, dance and rap, compel us to question stereotypical notions of class and experience. Eyes Speak is a 20-minute film and photography project, a radical collaboration between Mendel; and Hughes and the children and staff of Kingsmead Primary School in the London Borough of Hackney. Many of the 30 children who took part in this project (consisting of poetry, photography and film) were in attendance at this festival event. Some students commented on the significant amount of trust that was involved in taking cameras into their homes, and sharing these portraits with the world. in the UK, Clayton gives her subject a video camera to document his own story upon his return home. 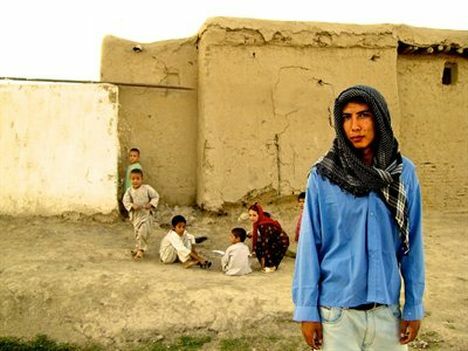 Hamedullah arrives in Afghanistan with no money, and no family; his wrenching story unfolds as we encounter through his video, "more ruins, more damage and more desperate people." Clayton discussed her advocacy efforts to supply all those deportees with cameras. "The good news is that a lot of lawyers want to use my film in court," she explained. "I'm working with the UNHCR [United Nations High Commission for Refugees] to change the law." The University of Central London location affords Open City a certain distinctiveness. Explains Stewart, "We want a festival, around the Hub, generating, through live events, a kind of memorable atmosphere that lasts throughout the year. So we do things like rescoring films, and documentary performances. We try and make sure that almost all of the screenings have a live element to them. So that's another difference between us and, say, Sheffield." Open City is also willing to screen films that have been shown elsewhere, as long as the festival can bring in the filmmaker and/or members of the film crew. The festival screens a broad range of films, including films that have yet to find distribution, but reflect remarkable documentary work. songwriter Jonathan Fletcher-followed with their respective musical interpretations of the film. And, as Il Capo was part of the Sound Workshops, these three performances served to catalyze discussions about the role of the composer, and the effects of different types of sound on the emotional experience of the audience. like many other festivals this year, which engage with the kind of responses to the world economic crisis and political crises in various other parts of the world." One of the jobs of Open City is to nurture, promote and protect the next generation of documentary filmmakers, and one of the ways the festival does that is through partnering with a national film competition called MyStreetfilms.com, in which most of the films are made by people who aspire to make longer films and pursue careers in documentary. With MyStreet, filmmakers can experiment with the documentary form, and then get exposure alongside the veterans of the documentary world. The best MyStreet films are screened prior to the features in the festival. In a discussion led by Stewart following a screening of the MyStreet shortlisted films, participants explored the possibility of turning MyStreet into a public film archive in partnership with the BBC. This year's MyStreet first prize went to Maha Taki's On the Bench, which tells the story of old gentlemen who meet on the same bench every day in the park near the filmmaker's flat. 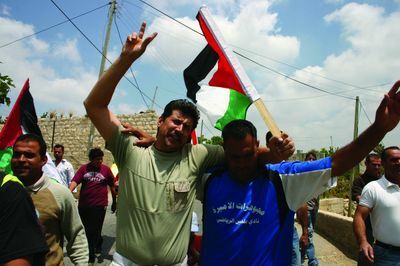 The winner of the Grand Jury Award went to 5 Broken Cameras, by Emad Burnat and Guy Divdi, a personally poetic and well authored film that documents stages of resistance among Palestinian residents of the West Bank against an Israeli military, as seen through Burnat's cameras, all of which were damaged in the struggle. Burnat manages to capture the everyday life experiences of these villagers, and their response to the barrier that is built across their farmland, in the wake of the encroaching Israeli settlements. From Emad Burnatr and Guy Divdi's 5 Broken Cameras, which won the Grand Jury Award at Open City Docs Fest.